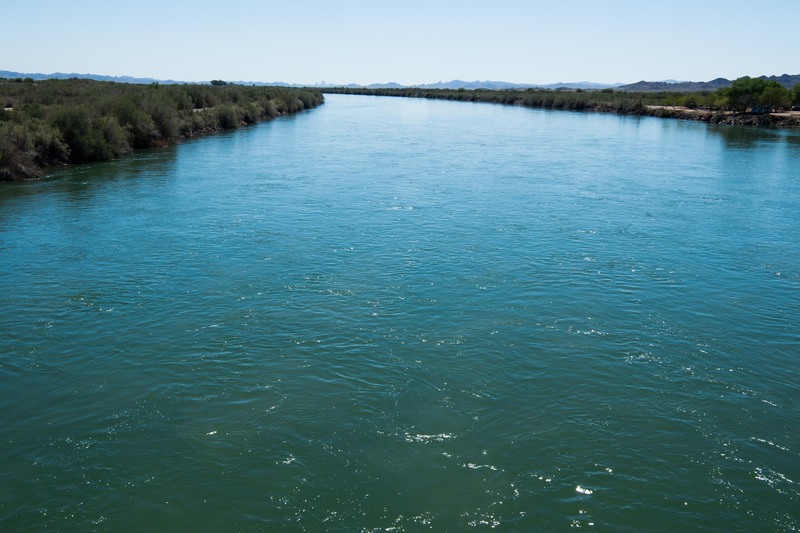 Colorado River near Blythe, CaliforniaWASHINGTON - The Bureau of Reclamation is making its water data publicly available and easily accessible through a new open data pilot project. The Reclamation Water Information System consolidates and publishes water and related data from throughout Reclamation, which makes it easier to locate and access. The site is available at: https://water.usbr.gov. RWIS is designed to meet modern data standards allowing for anyone to view, access, and download Reclamation's water data. Data in the pilot system is available from 2010 and enables users to track past and present streamflows, reservoir water releases, canal flows and other types of water data. RWIS also features a web service that allows data retrieval to be programmed and automated for use in models and applications. RWIS allows users to browse available data through an interactive map or search for data through a text-based query. Once the data query is complete, the user can use the data in a method that meets their needs, whether it is downloaded in a standardized format or a graphical or tabular display. The new water data site was funded by Reclamation's Science and Technology Program in collaboration with offices from throughout Reclamation. The Science and Technology Program is a competitive, merit-based applied research and development program within Reclamation. It focuses on innovative solutions for water and power challenges for Reclamation water and facility managers and the stakeholders they serve in the Western United States. Learn more at: https://www.usbr.gov/research/st/index.html.